The Atlantic Book Awards Society (ABAS) has a full schedule of more than twenty free events featuring this year’s shortlisted authors and illustrators, taking place throughout Atlantic Canada from April 20-27, and culminating in the Awards show at the Capitol Theatre in Moncton, NB on Wednesday, April 27 at 7:00 p.m., when the recipients of fifteen different book awards will be revealed (please note: this is the only ticketed event). In addition to the nominees previously announced, the Beacon Award for Social Justice and the ABAS Pioneer Award will also be awarded. Philippe Beaulieu & Rayanne Brennan are hosting this year’s bilingual award show, taking place for the first time in New Brunswick. The gala award show will include music by Les Improbables and a reception will follow with the authors and book signings after the awards presentation. Tickets are $15 and are available at www.capitol.nb.ca. Books will be for sale from Tidewater Books, and there will be a silent auction. This year’s events range from readings to panel discussions to musical performances and art workshops, with an eclectic schedule taking place in museums, pubs, libraries, churches, bookstores and schools. Events take place from Charlottetown, PEI to St. John’s, NL. This year the Book Awards are collaborating with the Frye Festival, the Fog Lit Festival and the Canadian Parks and Wilderness Society (New Brunswick Chapter) in presenting an eclectic mix of events. Join author and photographer Nicholas Guitard for a captivating audiovisual presentation on his book The Lost Wilderness: Rediscovering W.F. Ganong’s New Brunswick, shortlisted for the Writers’ Federation of New Brunswick Book Award for Non-fiction. A casual reception and book signing will follow. This event is presented in partnership with the Canadian Park and Wilderness Society – NB Chapter. Charlotte Street Arts Centre, 732 Charlotte St, Fredericton. Valerie Sherrard will discuss aspects of the writing life and literacy and will read from her new middle grade novel Rain Shadow, shortlisted for the Ann Connor Brimer Award for Children’s Literature. Newcastle Public Library, 100 Fountain Head Lane, Miramichi. Join acclaimed photographer and author Nicholas Guitard for a look at the life and work of naturalist William Francis Ganong, as explored in The Lost Wilderness, shortlisted for the New Brunswick Book Awards. Books will be available for purchase. Donations to Ganong Nature Park will be graciously accepted. Join us for a book signing with shortlisted authors, Gerard Doran (A Stroke in Time), Carole Glasser Langille (I Am What I Am Because You Are What You Are), R.W. Gray (Entropic), Catherine Hogan Safer (Wild Pieces) and Sarah Mian (When the Saints). Presented in partnership with The Frye Festival. Librairie du Festival bookstore, Delta Beauséjour, 750 Main St, Moncton. Pádraig Ó Siadhail (Katherine Hughes: A Life and a Journey) delivers a free, public writing workshop – “Irish Life Writing: from biography to fiction; and from Irish to English.” Drawing on his experiences as an Irish-language fiction writer and biographer who chose to write his Katherine Hughes’ biography in English, Ó Siadhail will share his insights into writing in two languages and in recreating Hughes’ life as fiction in Irish (Beirt Bhan Mhisniúla, 2011) and as biography in English. Saint John Free Public Library, 1 Market Square, Saint John. Pádraig Ó Siadhail joins Darragh McKeon, Mary Costello and Michele Forbes for a special celebration of Irish literature in partnership with Fog Lit Festival, The Frye Festival and the Irish Canadian Cultural Society. Comhaltas will perform traditional Irish music and the writers will read from their work. Saint John Free Public Library, 1 Market Square, Saint John. Susan Chalker Browne highlights stories and photos from The Story of the Basilica of St. John the Baptist, shortlisted for the Democracy 250 Atlantic Book Award for Historical Writing. Books will be available for sale. Basilica Museum (entrance immediately west of the Basilica), Basilica of St. John the Baptist, 200 Military Road, St. John’s. Join us for a celebration of Newfoundland writing with readings from Gerard Doran (A Stroke in Time), Catherine Hogan Safer (Wild Pieces) and Racket: New Writing Made in Newfoundland contributors Jamie Fitzpatrick and Carrie Ivardi. Alison Dyer, Executive Director of the Writers’ Alliance of Newfoundland & Labrador, will act as emcee and books will be for sale by Broken Books. The Ship Pub, 265 Duckworth Street, St. John’s. Author and illustrator Ron Lightburn joins students for a reading and art workshop in support of his book Frankenstink! : Garbage Gone Bad, shortlisted for the Lillian Shepherd Memorial Award for Excellence in Illustration. Wolfville School, 19 Acadia St, Wolfville. Celebrate the book launch of The Times of African Nova Scotians, Vol. II written by Tony Colaiacovo and shortlisted for the Robbie Robertson Dartmouth Book Award for Non-fiction. Special guests include Dr. George Elliott Clarke, Dr. Walter Borden, Dr. Geraldine Browning and El Jones. The second Notable Nova Scotians poster, featuring 49 African Nova Scotians who have made the province a better place, will also be unveiled. The Atrium at Nova Scotia Community College Institute of Technology Campus, 5685 Leeds St, Halifax. Draw With Doretta! Join us for a reading and art workshop with Doretta Groenendyk, author and illustrator of I’m Drawing a Picture, shortlisted for the Lillian Shepherd Memorial Award for Excellence in Illustration. Recommended for children ages 5-10. Halifax North Memorial Public Library, 2285 Gottingen St, Halifax. Michael Newton, shortlisted for the Atlantic Book Award for Scholarly Writing for Seanchaidh na Coille / Memory Keeper of the Forest: Anthology of Scottish Gaelic Literature of Canada, accompanied by Lodaidh MacFhionghain (Lewis MacKinnon) will sing songs and recite stories about the exile and migration of Gaels from the Scottish Highlands and their settlement in Maritime Canada. A question-and-answer session and book signings will follow the performance. New Dawn Centre for Social Innovation, 37 Nepean Street, Sydney. As the 100th anniversary of the 1917 Halifax Explosion draws closer, curiosity is building among visitors to the city. Will they receive accurate answers? Janet Maybee will offer a session on Explosion myths and truths, working to change the century-old narrative that unfairly blames one harbour pilot for so much death and destruction, as explained in her book Aftershock: The Halifax Explosion and the Persecution of Pilot Francis Mackey, shortlisted for two Atlantic Book Awards. Special guests include representatives from HMCS Sackville, Pier 21, Shipfax/Harbour Watcher, Maritime Museum of the Atlantic and the Atlantic Pilotage Authority. Books will be available for sale. Maritime Museum of the Atlantic, 1675 Lower Water St., Halifax. Michael Newton, shortlisted for the Atlantic Book Award for Scholarly Writing for Seanchaidh na Coille / Memory Keeper of the Forest: Anthology of Scottish Gaelic Literature of Canada, accompanied by Lodaidh MacFhionghain (Lewis MacKinnon) will sing songs and recite stories about the exile and migration of Gaels from the Scottish Highlands and their settlement in Maritime Canada. A question-and-answer session and book signings will follow the performance. Books will be available for sale by Bookmark. The Company House, 2202 Gottingen St., Halifax. Author Lindsay Ruck moderates a panel discussion with Carole Glasser Langille, shortlisted for the Alistair MacLeod Prize for Short Fiction for I Am What I Am Because You Are What You Are and Sarah Mian, shortlisted for both the Jim Connors Dartmouth Book Award (Fiction) and the Margaret and John Savage First Book Award for When the Saints. Books will be available for sale by Bookmark. Halifax Central Library, 5440 Spring Garden Road, Halifax. Dean Jobb will deliver an illustrated talk based on his book Empire of Deception: The Incredible Story of a Master Swindler Who Seduced a City and Captivated the Nation, shortlisted for both the Robbie Robertson Dartmouth Book Award for Non-fiction and the Democracy 250 Atlantic Book Award for Historical Writing. Books will be available for sale by Bookmark. Keshen Goodman Public Library, 330 Lacewood Drive, Halifax. As part of Etsy Artisans of PEI Spring Market, Teri Hall leads a demonstration of the art of working with sea glass. 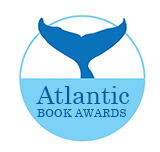 She’ll also read from her book, A Seaglass Journey: Ebb and Flow shortlisted for the APMA Best Atlantic-Published Book Award. Props from the book will be on display. Delta Prince Edward Hotel, 18 Queen Street, Charlottetown. Sharon McKay visits local students to read from Prison Boy, shortlisted for the Ann Connor Brimer Award for Children’s Literature. Eliot River Elementary, 79 Hilltop Drive, Cornwall. Teri Hall leads a demonstration of the art of working with sea glass. She’ll also read from her book A Seaglass Journey: Ebb and Flow, shortlisted for the APMA Best Atlantic-Published Book Award. Props from the book will be on display. Souris Public Library, 75 Main St, Souris. Benevolent Irish Society, 582 North River Road, Charlottetown. La Société des prix littéraires de l’Atlantique (SPLA) vient de diffuser une programmation complète, qui comprend plus d’une vingtaine d’activités gratuites mettant en vedette les auteurs et illustrateurs sélectionnés de cette année qui auront lieu partout au Canada atlantique du 20 au 27 avril. Le point culminant des activités constituera la cérémonie de remise des prix, qui aura lieu au Théâtre Capitol, à Moncton, au Nouveau‑Brunswick, le mercredi 27 avril, à compter de 19 h. C’est alors que seront connus les récipiendaires des 15 prix différents (à noter qu’il s’agit de la seule activité exigeant des billets d’entrée). En plus des candidats sélectionnés déjà annoncés, d’autres s’ajouteront pour l’attribution du Prix Beacon pour la littérature sur la justice sociale et du Prix du pionnier de la SPLA. Philippe Beaulieu et Rayanne Brennan animeront la cérémonie bilingue de remise des prix de cette année, qui se tiendra pour la première fois au Nouveau‑Brunswick. Le groupe Les Improbables jouera de la musique, et une réception avec les auteurs et des séances d’autographe auront lieu après la présentation des prix. Le prix des billets est de 15 $, et il est possible d’en acheter à partir du site <http://www.capitol.nb.ca>. Les livres seront en vente à la librairie Tidewater Books, et un encan silencieux sera organisé. Les activités de cette année comprennent des lectures, des tables rondes, des prestations musicales et des ateliers d’art et se dérouleront dans des musées, des pubs, des bibliothèques, des églises, des librairies et des écoles. Elles auront lieu un peu partout au Canada atlantique, y compris à Charlottetown, à l’île‑du‑Prince‑Édouard, et à St. John’s, à Terre‑Neuve‑et‑Labrador. Cette année, la SPLA travaille de concert le Festival Frye, le Fog Lit Festival et la Société pour la nature et les pars du Canada (section du Nouveau‑Brunswick) afin d’offrir des activités diverses. Joignez-vous à l’auteur et photographe Nicholas Guitard pour une présentation audiovisuelle passionnante sur son livre The Lost Wilderness: Rediscovering W.F. Ganong’s New Brunswick, en lice pour le Prix littéraire pour ouvrage non romanesque de la Writers’ Federation of New Brunswick. Une réception informelle et une séance d’autographe auront lieu par la suite. L’activité est organisée en collaboration avec la Société pour la nature et les pars du Canada (section du Nouveau‑Brunswick). Lieu de l’activité : Charlotte Street Arts Centre, 732, rue Charlotte, à Fredericton. Jacques Poitras, du réseau anglais CBC, orientera une discussion avec les auteurs en lice David Sullivan (Boss Gibson: Lumber King of New Brunswick) et Thom Workman (The Servant State: Overseeing Capital Accumulation in Canada). Les livres seront en vente à la librairie Westminster Books. Lieu de l’activité : Bibliothèque publique de Fredericton, 12, rue Carleton, à Fredericton. Ian LeTourneau, lauréat culturel de la Ville de Fredericton, animera une soirée de lectures par les auteurs Phillip Crymble (Not Even Laughter), M. Travis Lane (Crossover) et Michael Pacey (Electric Affinities), tous en lice pour le Prix pour la poésie Westminster Books. Lieu de l’activité : Librairie Westminster Books, 445, rue King, à Fredericton. Mark Anthony Jarman lira des extraits de son livre intitulé Knife Party at the Hotel Europa, en lice à la fois pour le Prix littéraire du Nouveau‑Brunswick pour œuvre de fiction et le Prix Alistair‑MacLeod pour recueil de nouvelles. Lieu de l’activité : Salle paroissiale de l’église anglicane, 75, rue King, à St. Andrews. Valerie Sherrard parlera des aspects de l’écriture et de l’alphabétisation et lira des extraits de son nouveau roman pour jeunes intitulé Rain Shadow, en lice pour le Prix Ann‑Connor‑Brimer pour la littérature pour enfants. Lieu de l’activité : Bibliothèque publique de Newcastle, 100, promenade Fountain Head, à Miramichi. Don Aker rendra visite aux élèves de l’école secondaire Bernice‑MacNaughton pour présenter son roman Delusion Road, en lice pour le Prix Ann‑Connor‑Brimer pour la littérature pour enfants. Lieu de l’activité : École secondaire Bernice‑MacNaughton, 999, boulevard St. George, à Moncton. Joignez-vous à nous pour une séance d’autographe avec les auteurs en lice Gerard Doran (A Stroke in Time), Carole Glasser Langille (I Am What I Am Because You Are What You Are), R.W. Gray (Entropic), Catherine Hogan Safer (Wild Pieces) et Sarah Mian (When the Saints). Séance organisée en collaboration avec le Festival Frye. Lieu de l’activité : Librairie du festival, Delta Beauséjour, 750, rue Main, à Moncton. Pádraig Ó Siadhail (Katherine Hughes: A Life and a Journey) donnera un atelier d’écriture au public intitulé « Irish Life Writing: from biography to fiction; and from Irish to English ». Il parlera de son expérience en tant qu’auteur de fiction et biographe de langue irlandaise qui a choisi d’écrire la biographie de Katherine Hughes en anglais. Ó Siadhail fera part de ses réflexions sur l’écriture dans les deux langues et le fait de raconter en langue irlandaise la vie de Mme Hughes dans une œuvre de fiction (Beirt Bhan Mhisniúla, 2011) et dans une biographie en anglais. Lieu de l’activité : Bibliothèque publique de Saint John, 1, place du Marché, à Saint John. Pádraig Ó Siadhail se joindra à Darragh McKeon, à Mary Costello et à Michele Forbes pour une célébration spéciale de la littérature irlandaise, et ce, de concert avec le Fog Lit Festival, le Festival Frye et la Irish Canadian Cultural Society. Comhaltas jouera de la musique traditionnelle irlandaise, et les auteurs liront des extraits de leur œuvre. Lieu de l’activité : Bibliothèque publique de Saint John, 1, place du Marché, à Saint John.